While the Uff Report clearly criticises the actions of Calder Hart, the simple fact is that Hart did not appoint himself as head of Udecott (along with directing the TT Mortgage Finance Company, Home Mortgage Bank and National Insurance Board), but rather he sat with the full blessing of Manning. 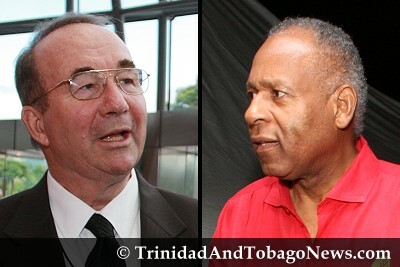 In fact, even after Diego Martin West MP Dr Keith Rowley complained about Udecott’s non-accountability under himself as line Minister, Manning’s response was simply to fire Rowley on the dubious grounds of “wajank” behaviour, rather than to rein in Udecott..
Mr. Panday’ remarks about the “vindictiveness” shown in not selecting his daughter, Mickela as a candidate.Now he is saying that Kamla is not Prime Ministerial material otherwise she would have chosen Mickela to represent Couva North.Isn’t he showing some form of bias about replacing Mr Panday with his daughter? It is my firm opinion that he is just trying to create confusion among UNC supporters and he must explain why he did not select Penny. As a visitor to your Country I am only a spectator. They say that every Country has the Government it deserves! I sincerely beleive TnT deserves a better Government than it has at present. How can a small Nation with a Population of 1.3 million People and Oil and natural Gas plentiful have such a high poverty rate (just look at Sealots for example), watershortage, bad roads, etc. The list is endless. Your Government has robbed you bigtime!You the Voter can change that. I sincerely hope that the People of TnT have the courage for a necessary change!